A beautiful solid Sterling Silver locket with intricate hand engraved details offers a fine example of Julian Stephens bespoke, commission work. 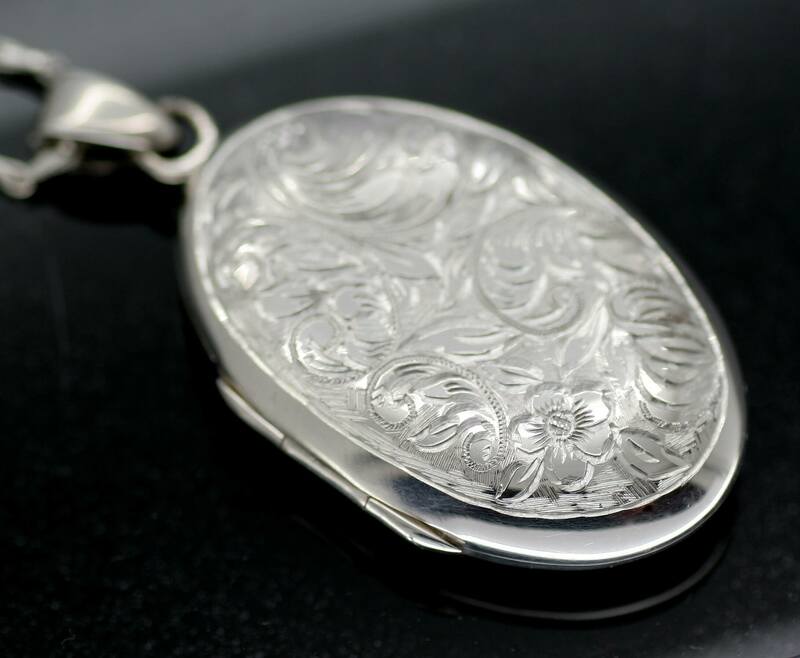 Crafted with care and expertise in solid 925 Sterling Silver this classic oval shaped locket design is adorned with a stunning hand engraved pattern. A beautiful keepsake and personal memento this timeless locket design is created in collaboration with our client to create an exquisite gift. This lovely pendant is finished with a high shine polished finish and proudly bear Julian Stephens exclusive makers mark and Hallmark to celebrate the fine materials used to expertly create this lovely and very personal design. To create your own unique piece of jewellery please contact us to begin an exciting, special bespoke commission of your own.